Garage door openers may be an unconventional gift, but they are useful. Once they are installed, and operational the recipient will appreciate the usefulness and genius of the gift. Find out why garage door openers make great gifts and how they keep giving. When leaving through a garage, an opener makes it possible to open the door with the press of a button. This hassle-free option to open the door can be very convenient when your hands are full and also makes it easy to open the door without going through the hassle of manually opening the door. 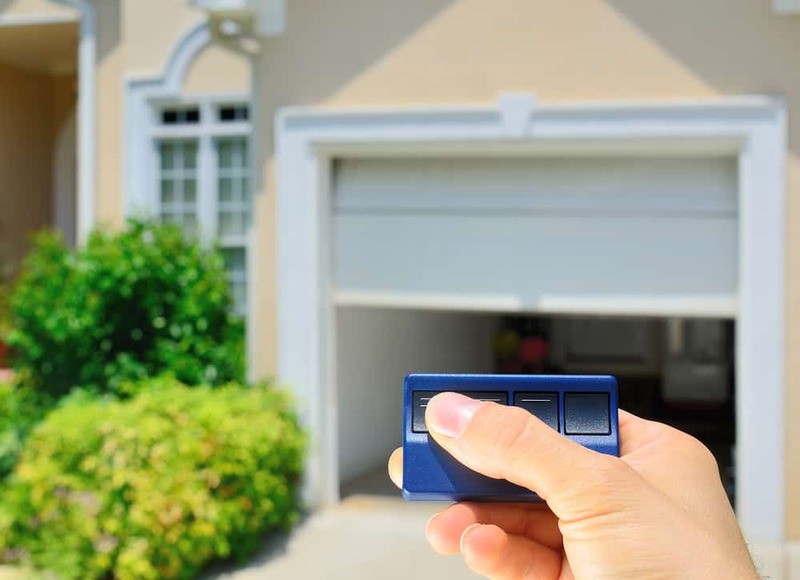 A garage door opener makes it effortless to open a garage door as you approach your home while driving. The ability to pull into your garage without exiting your vehicle to open the door manually is quick and efficient and also keeps you out of the elements. The reverse is true when you leave since the garage door opener makes it possible to close the door as you pull away. During inclement weather, a garage door opener can be worthwhile and invaluable. Manually opening a garage door can be a bit of a hassle for some people, particularly people with mobility issues or the elderly. A garage door opener makes it possible for some individuals to easily open a close their garage door when they may not be able to otherwise. Garage door openers typically last for about 10 to 15 years. How often the door is opened and how the equipment is cared for impact how long everything lasts. Garage door openers offer an excellent value for the cost. This is a gift that can be used for many years to come. When a gift makes life simple for the recipient that is the mark of a great gift. A garage door opener is somewhat of a luxury item in the sense that it is not necessary. It brings value and efficiency to the recipients daily life and is dependable. Garage door openers are not exciting or glamorous gifts, but they are practical and bring value in the form of convenience. Garage door openers typically come with one to two controls that allow for remote operation. These controls can be kept in a car, so the driver can open and close the door from the comfort of their vehicle. Additional remotes can be purchased as gifts, too. If one of the original reports was lost, if you own more vehicles than remotes or if you have a new driver in your home giving a remote makes for a great gift. Smaller versions of remotes are available and are great for motorcyclists or bicyclists. When choosing a garage door opener, there is a lot to consider. The size of the opening, available space and the type and weight of the door, as well as the drive option of the opener all, need to be factored in. Different doors have different needs regarding being matched to a garage door opener. Go above and beyond and select a garage door opener that has some additional convenience features built in. A garage door opener is a convenience item to start, but as technologies have evolved models have emerged that add even more benefits and useful features. Some openers can be controlled via a smartphone. This eliminates the need to carry a remote and allows for the door to open or close simply by using a linked phone. Some models also have interior lights and cameras that can be controlled and operated via a connected smartphone. This makes it possible to remotely view what is happening inside the garage, or just beyond the door when opened. A keypad, or keyless entry, is included with some garage door openers and can be added to other models. Keyless entry makes it possible to open the garage door by inputting a code. This is a great option for a family member who routinely loses their house key, or if you want to give a guest, relative or friend access to your home when you are not there. If you want to give a useful gift that keeps giving we suggest you consider a garage door opener. There is still time to place an order and schedule an appointment for an installation. Our team can help you find the right opener and our professional installation services ensure the door is properly installed and all remotes are operational.